Ten years ago, tomorrow, I went to Las Vegas with a club I was in in college. It was my 21st birthday. Some of the group decided they wanted to go clubbing. The rest of us wanted to go to the big Oktoberfest event the hotel was having. They had a giant tent, huge beer steins, Hoffbrau on tap and an actual German band from Germany wearing lederhosen and playing pub songs all night. This was also the first time I hung out with Steve. I had met Steve a couple of times before this but hadn’t really given him much thought. Our German friend, C, made friends with the band and we requested songs all night and danced on the tables to their music. It was so much fun! Later that night we hailed a cab and headed over to Paris to meet up with our friends who had gone clubbing. Our cab driver was crazy! We got caught in traffic on the strip and he drove like a maniac to get us out of it. He actually made a U-turn up a curb and over the center divider to take the back way behind the hotels. Yeah, it was quite a night! At Paris, Steve bought me my very first legal cocktail. It was a White Russian. I didn’t really like it all that much but I drank it anyway. It was the start of a beautiful friendship that lasted two years before we ended up dating and ultimately married. How time flies! A few weeks ago, a friend asked me for a recipe for Paneer Makhani. I told her that my recipe needed some work and that I would experiment and get back to her soon. 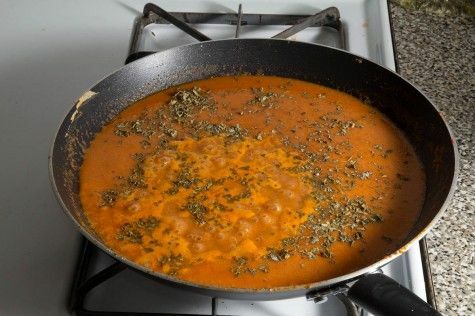 You can probably find Paaneer Makhani on just about every Indian food blog so I wanted to make sure this recipe was especially good and reflective of my tastes. 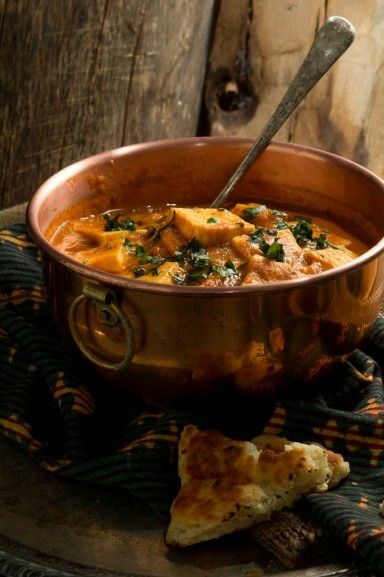 We must have eaten Paneer Makhani about 7 times in the last two weeks. Fortunately it’s a dish I can’t seem to get tired of. That said, I am happy to say the experimenting is over and I’m really happy with the results. Happy October! 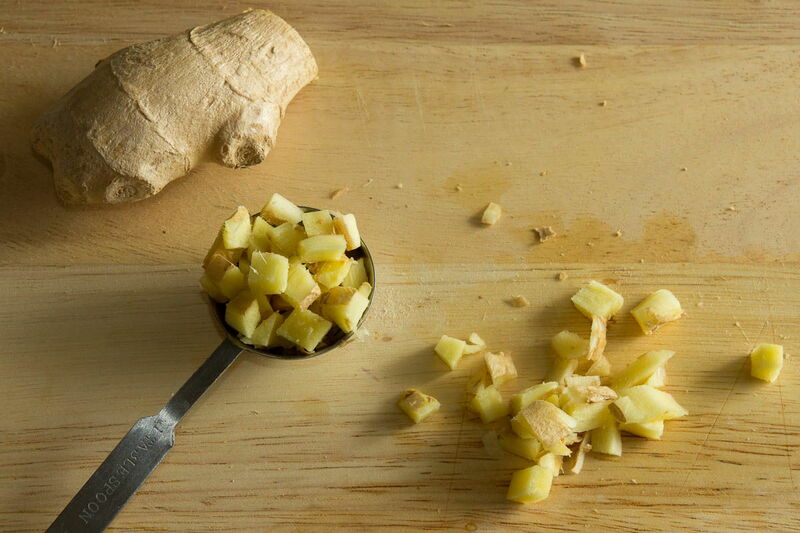 In a small bowl, soak the cashews in 1/4 cup of water. Set aside. Heat 1 tbsp butter and 1 tbsp oil in a 12 inch frying pan. Add the onion puree and chopped green chilies. 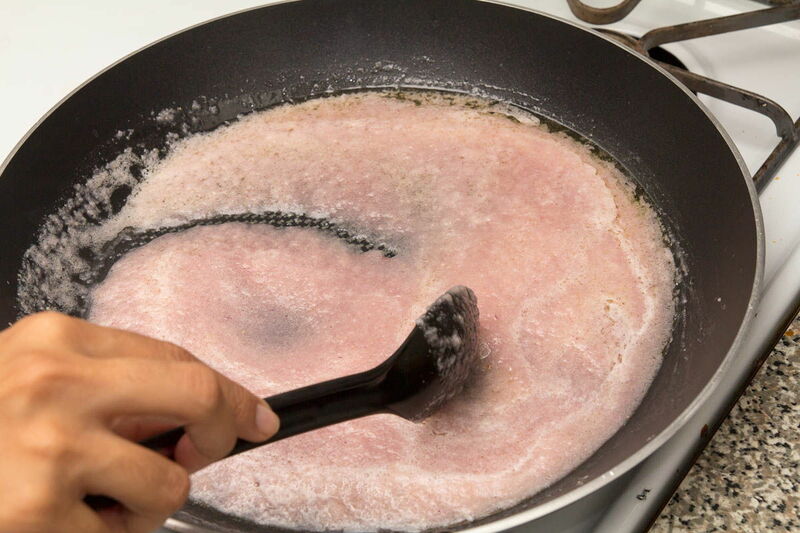 Stirring often, cook on medium high heat for about 5 minutes until the puree thickens and starts to turn golden. 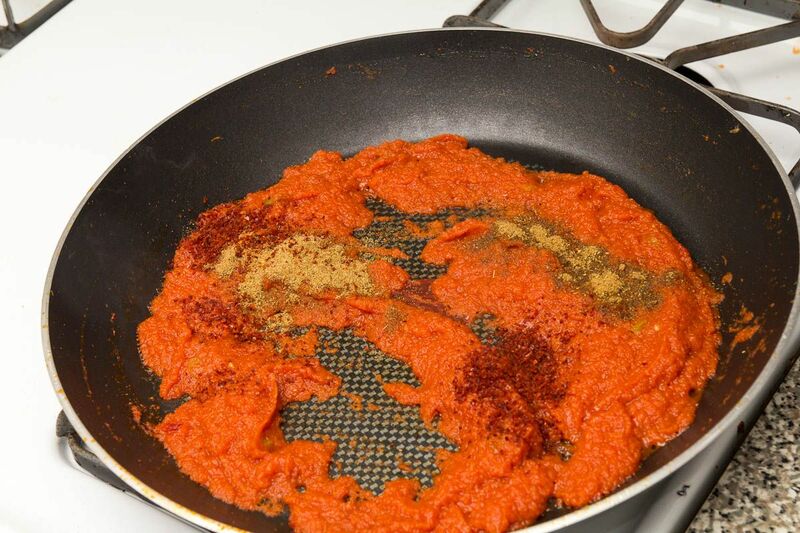 Meanwhile, using the same blender, puree the canned tomatoes. Add the tomato puree once the onions are cooked. Stir. Cook for about 10 to 12 minutes until the tomatoes form a thick jammy consistency. You will see the oil separating from the edges. As the tomatoes are reducing, using the same blender as before, puree the cashews and the water they were soaking in. You should have a thick milky consistency. Set aside. Add the garam masala, ground cumin, your choice of red chili powder, ground fenugreek seeds, and sugar. Mix well. Cook for a minute longer. Add the cashew milk. Stir well. Cook for a minute. Add 1 3/4 cup water. Stir well. Add the dried fenugreek leaves and salt. Stir well. Lower heat to medium. Add the paneer. Cook for 10 minutes. 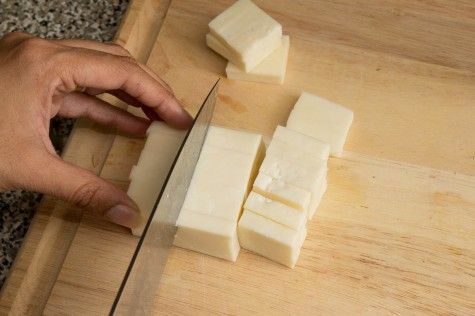 Turn off the heat and stir in 1 tbsp of butter. This recipe can be made up to two days ahead of time and refrigerated. Just reheat when ready to serve. In fact it actually tastes better the next day because the flavors have had a chance to permeate through the paneer. 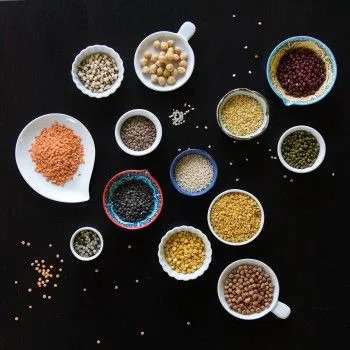 Fenugreek seeds and dried fenugreek leaves are available at local Indian stores and easily available online. 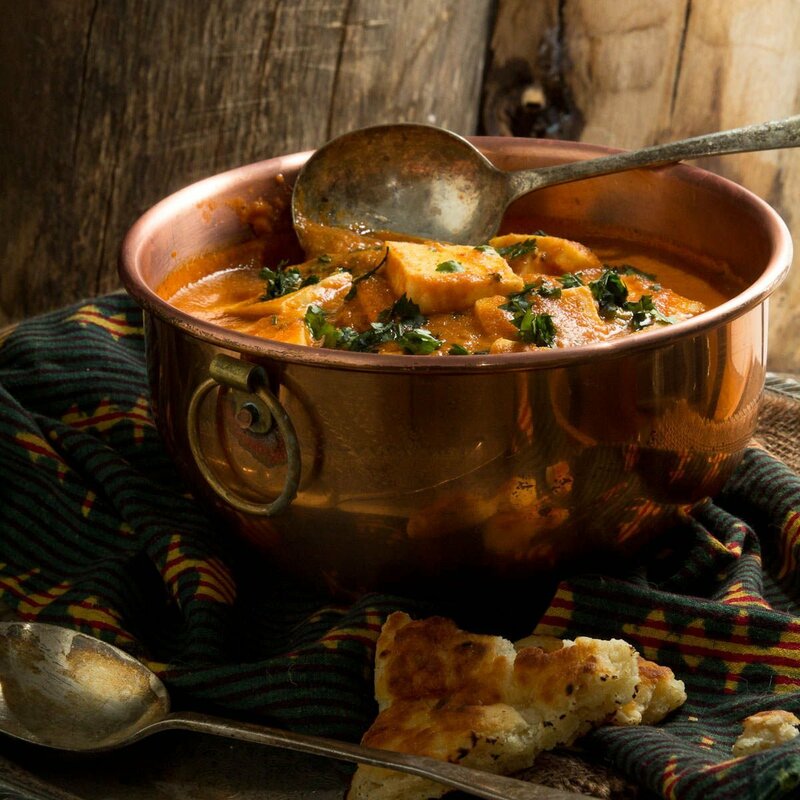 Don’t skip the dried fenugreek leaves in this recipe it’s an important flavor component. 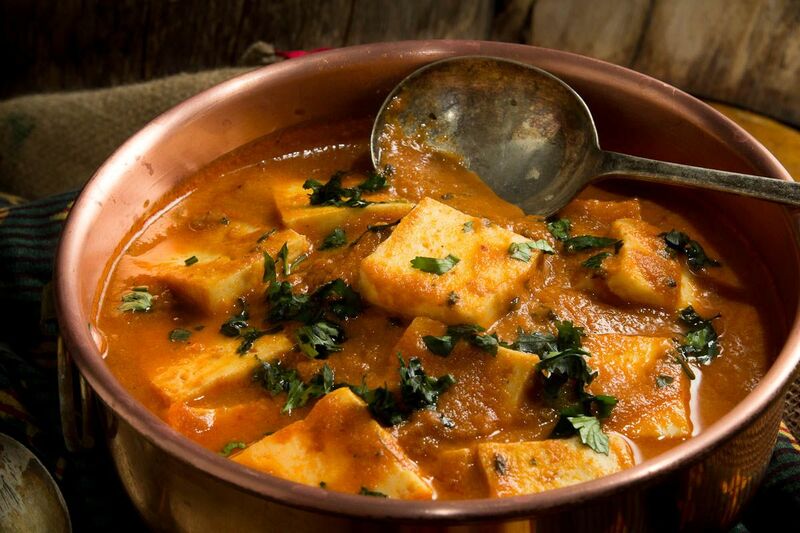 Paneer is also available at Indian stores and often available at Whole Foods. But it’s really easy to make if you can’t. 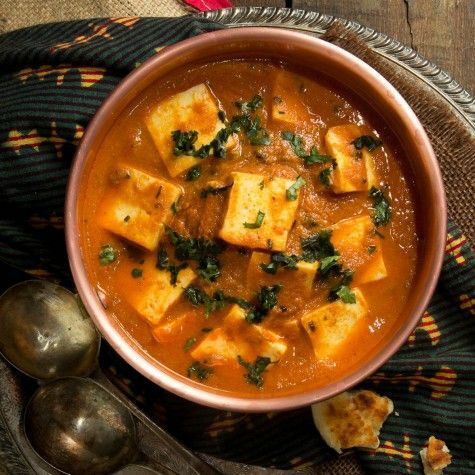 Comments on "Butter Paneer (Paneer Makhani)"
Happy birthday, dear Puja! (if I properly understood the wonderful story about Black Russian cocktails, German lederhosen and a cab flight to Paris, it should have been yesterday, isn't it?) Your butter paneer looks so tempting that I could try some right away although it's proper breakfast time right now over here :-). I should have specified that I am talking about Paris the casino in Las Vegas. 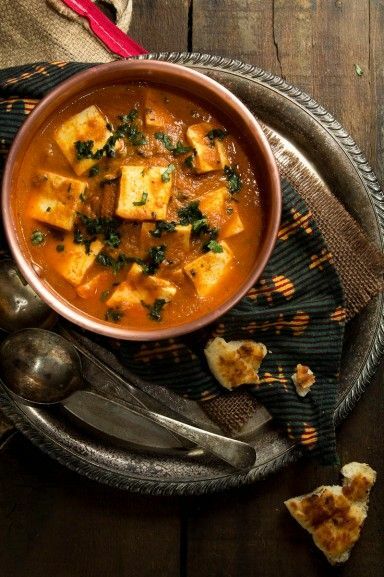 Beautiful click and delicious Paneer makhani...have pinned this recipe for long on my board...but visited today. Glad that I did. 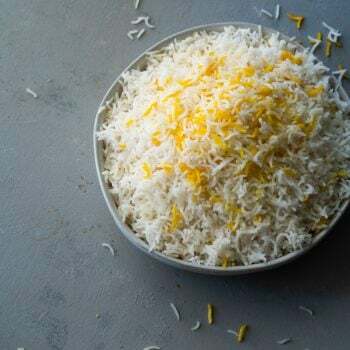 I love eating Indian food, and jump at every chance to eat it out or at a friend's house, but have only recently tried making it myself at home. 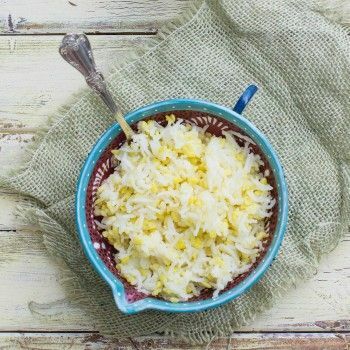 This was a great, easy-to-follow recipe that turned out perfect! Previous to this, I had only mastered a vegetable korma with tofu, but now I feel pretty confidant about this too. I can't wait to try more of your recipes! made this tonight and loved how it turned out. however, my puree never seemed to turn golden brown so after 10 mins i just went on to the next step. any advice for next time? It was really delicious, granted I replaced the paneer with Tofu since I had some left overs. The only issue was that the makhani came out a little too watery, not much of a thick consistency. I guess I'd put less than the 1 and 3/4 cups of water at the end.